Capacity 40 to 50kg per hr....Fully made in stainless steel food grade material..Peeling result upto 97%.Very less maintenance.Fast delivery & installation at free of cost.It require 10hp air compressor with 300ltr air tank. Fully made in stainless steel food grade material..
Fast delivery & installation at free of cost. It require 10hp air compressor with 300ltr air tank. Incorporated in 2008, we, Rami International, are engaged in manufacturing, and Wholesaling Cashew Nut Processing & Tin Filling Machine. 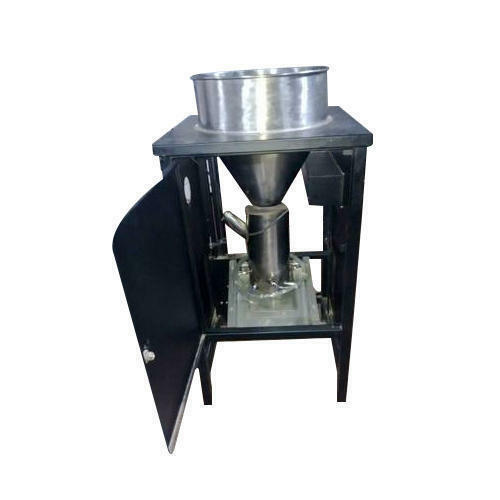 Inclusive of Automatic Cashew Nut Cutting Machine, Steam Boiler for Cashew Nut Processing and Drying Oven for Cashew Nut Processing, we offer a range of products. To provide a range of convenient machines to our customers, we are backed by an efficient team of skilled professionals. We select these professionals through various tests & interviews based on the required skills. These professionals are always in the touch of latest technology and ready to adapt them.